Hi everyone! I just wanted to let you know that I’m still alive and well. I haven’t posted in what feels like forever although in reality it has only been a week. 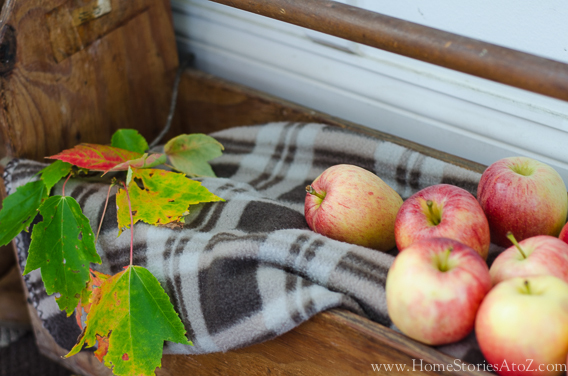 I have been MIA fluffing, cleaning, wrangling and preening my home in preparation for the Finding Fall Home Tour hosted by Laura from Finding Home. My tour will be up tomorrow; however, as I was putting together my post I realized that I took a ridiculous number of photos. I’m afraid you would have needed an intermission break, so figured I better give you a little sneak peek of my fall home tour today! 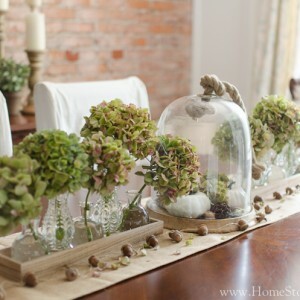 This year, I tried to incorporate as many natural elements as possible in my fall decorating. Natural just always looks better! Can you believe that there are only two hydrangea blooms in that basket? TWO! I have a few hydrangea bushes in our backyard, but they didn’t produce very many blooms this year. I found a woman selling her limelight blooms on Craigslist from her 100 yr old hydrangea tree. You guys, it was a literal TREE that you needed an extension ladder to access. I haver never in my life seen such gorgeous blooms! The other fall foliage was “borrowed” from a park and a parking lot. I was having trouble finding exactly what I had in mind since the leaves around here haven’t quite started turning yet. I was in the parking lot of a Joann’s about to explore some fake fall foliage when the perfect leaves caught my eye! Tip: Carry clippers in your car for such a time as this! I wanted to lob off an entire perfect branch, but I kept my clippings conservative in case someone scolded me. The green willowy stuff in the Birch Lane Recycled Glass Jug Vase (love it!) was snagged down by the river near my home. A landscaper saw me carrying it back to my car and flagged me down. At first I was all like, “Look buddy, I can take weeds from the city,” but he was actually just looking out for me. He thought I was clipping loads of ragweed for my home. Ha! That would have been a major sneezefest! My pomeranians love apples, so I was admittedly concerned that we might end up with a bushel full of tiny teethmarked apples. Fortunately they have left them alone. I can’t say the same for the leaves and hydrangeas. And here is my cute stag that makes his way around the house. What can I say? He gets bored in the same room and likes to wander. 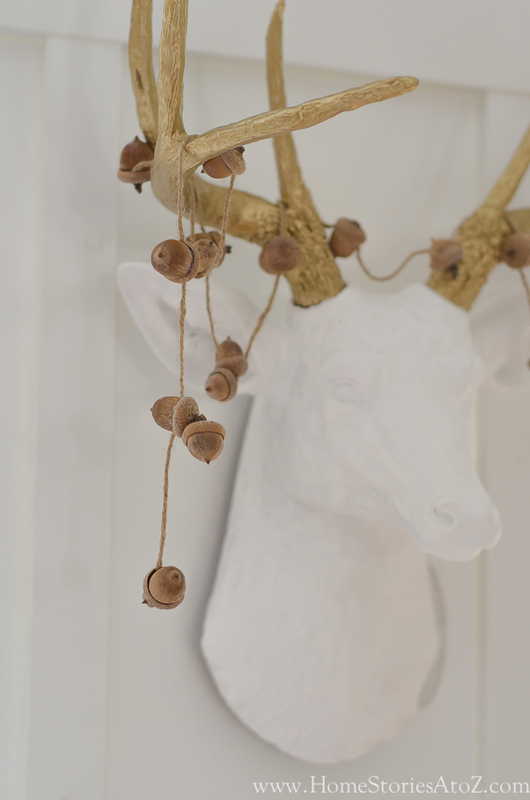 In case you’re wondering about the acorn garland, I simply popped the tops off of some acorns and glued them back on to a long piece of twine. 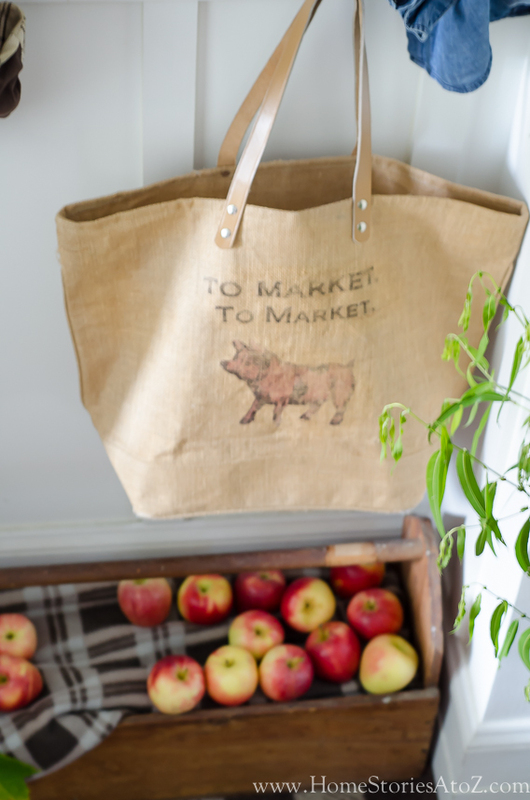 This made for a quick and cute fall accessory. 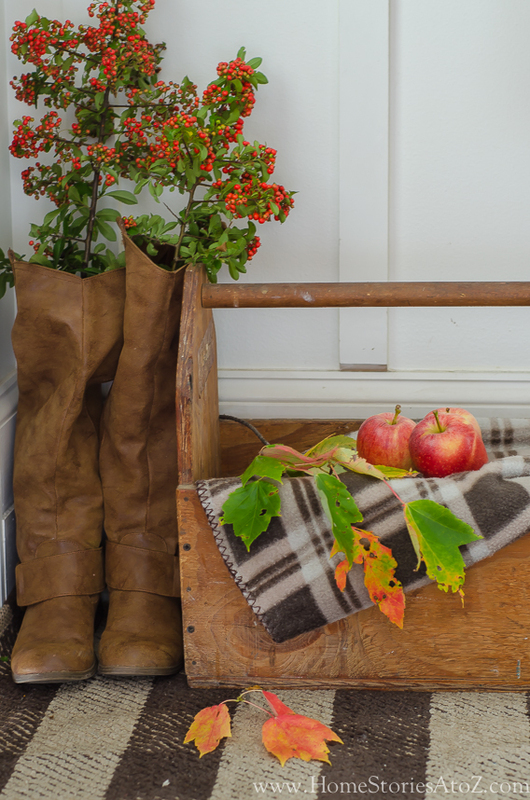 Thanks so much for stopping by and checking out my fall mudroom! I hope you’ll come back tomorrow morning to see the rest of my fall home tour. And as always, if you like something you see, I hope you’ll pin it! I love this!! Where did you happen to purchase the stag? Love your decor! I’m in love with that crate – perfection ! Thank you Suzan! The old wooden toolbox was my father-in-law’s that we recently inherited. I was thrilled to find it in the basement. 🙂 Thanks for stopping by and visiting me. 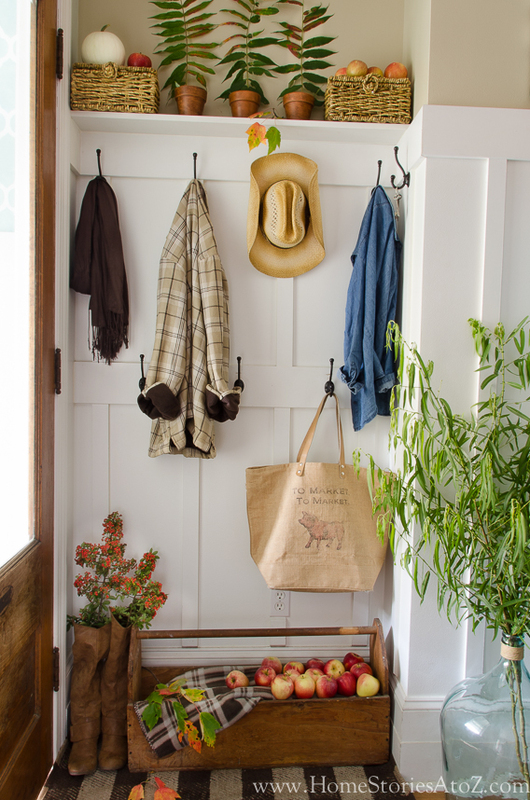 Beth I love your Fall Mudroom, can’t wait to see the rest of the tour!! Thanks for stopping by Tanya! I’m excited to share the rest of the first level with you. 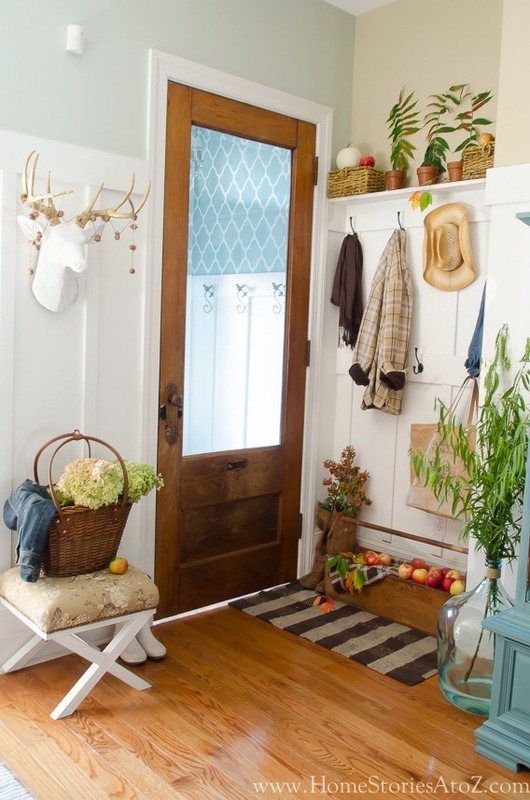 Your entryway is gorgeous! 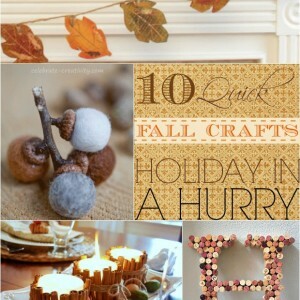 Love the fall decor. Beautiful Job on your mudroom, Beth! I love it!! Wonderful stuff of fall you have there! You omitted to mention the orange stuff in the boots that looks like bittersweet! Where did you get it? Beautiful post & can’t wait to see the full tour. However, I had pop-up ads at the bottom of my iPhone screen & a Dyson ad banner diagonally across my screen. Anyone else have this? Sorry about that Janet! Trying to remove the banner ad. Everything is so pretty and fresh. 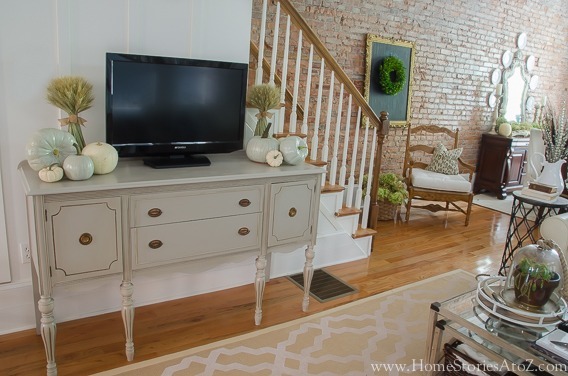 gorgeous space Beth! 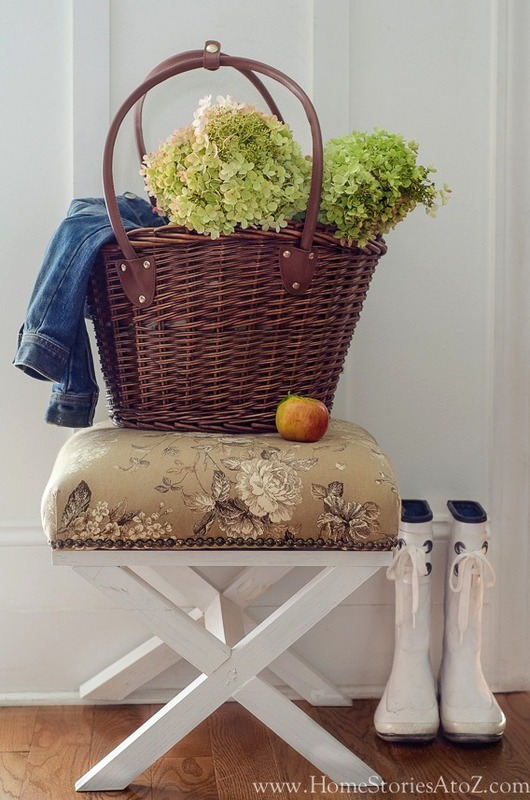 The fabric on your x-bench looks perfect with all of the natural elements. Can’t wait to see the rest of the house! Thanks Jessica! I made that x-bench a few years ago and made curtains to match (years ago as well). I hung the curtains in the dining room and love how they look for fall! Love it Beth… so gorgeous! Hi, Beth! 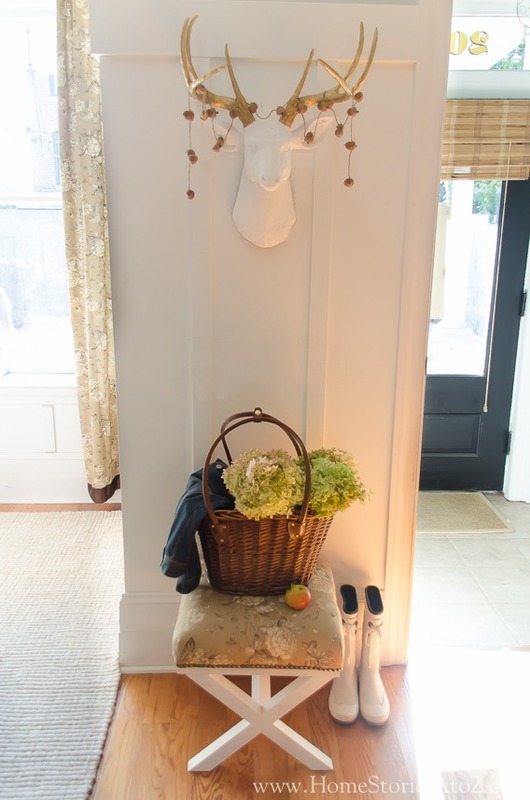 Your fall mud room is just adorable I recently put a mud room together – I will have to add some fall elements like you did!